Hei! Juhlat on juhlittu tuulessa ja sateessa. Pari korttiakin tuli tehtyä, vaikka ajattelin pitää ihan askarteluvapaa viikonlopun! Kivan mallin löysin punapinkkiin tyttökorttiini. Hi; it was so windy and rainy weekend, happy to be inside by the cosy fireplace and watch the Independence Day Celebrations. I found this lovely sketch and remembered I had few Bugaboo's images in my old files. And it turned up quite girly with pink and red Bo Bunny's papers. Colouring with ProMarkers. So cute and love the red and white combo! Hauska ja raikas kortti! Onnittelut Simon says Stamp Wednesday'n voitosta, mahtava arpaonni! This is very pretty. I love the snow and the twine you added. This is adorable, Mervi. I like how you've turned the image into an ornament. Thanks for joining the Christmas Chaos week at Catch the Bug! Talk about adorable!!! Such a sweet image that you've turned into an ornament. Very creative. Thanks for joining our Christmas Chaos challenge at Catch the Bug. 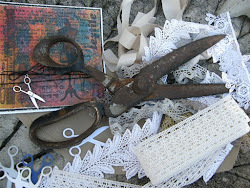 Great job love the twine and the paper you used, great image, very pretty, thanks for playing our challenge at Lil Patch of Crafty Friends. Love this color combo for a girly Christmas. The mix of patterns gives quite a visual punch!